More than 23,000 Dolphins brutally slaughtered is Enough! By the thousands they are herded into the little cove in Taigi, Japan where there is no escape. In this video you will see and hear the terror of the dolphins as they try to flee only to be driven to shore where the brutal massacre begins. 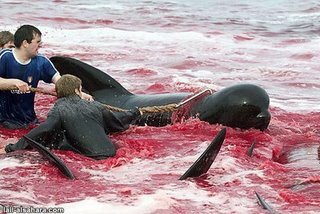 Cutting them to pieces while they are still alive, babies and mothers, being stabbed and punctured over and over again, the screams of death by the dolphins are horrifying. What century are we living in? Each year from September 1 to around the end of March, hundreds of dolphins are slaughtered in Japan. Fishermen round them up using sound barriers to disorient and herd the frantic pods out of their normal migrations into hidden lagoons like the one featured in The Cove. In some cases, individual dolphins which are deemed as being ‘show quality’ (and, often, who look like Flipper, the iconic dolphin from the 1960’s television series), are selected by trainers and sold for upwards of $150,000 USD to marine mammal parks around the world, where they will remain in captivity performing as circus acts for the rest of their lives. The remaining dolphins are then inhumanely killed. The butchered dolphins are used for food, while the Japanese government intentionally shelters people from the dangers of eating their contaminated flesh. Consumers of dolphin meat run the risk of mercury poisoning due to high levels of the toxin within the animals. 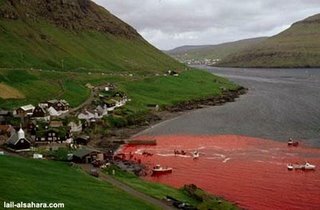 Adding to this danger, much of the pricier whale meat they purchase is actually mislabeled toxic dolphin meat. While the Japanese government defends dolphin hunting as part of their cultural heritage, this tradition has serious health effects on its own people. The more lucrative captive dolphin industry is the driving economic force behind the dolphin slaughter in Taiji. In the U.S. alone, dolphinariums represent an $8.4 billion industry. A dead dolphin fetches a mere $600, as compared with the hundreds of thousands that can be made from live ones. International law provides no protections against the killing of dolphins, and other slaughters occur in places outside of Japan. The International Whaling Commission (IWC) affords no protections for 71 (out of 80, known) cetacean species, including all dolphins and porpoises, which is why Japan and other countries can legally kill them by the tens of thousands. The Movie. 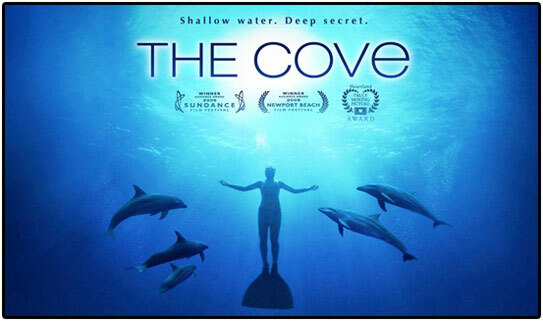 Recently Released and Winner of the Sundance Film Festival exposes long existing Japanese Dolphin Slaughter. August 2, 2013 Environmental Investigation Agency …..